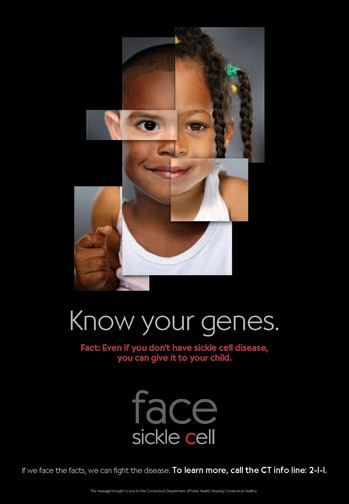 The Connecticut Department of Public Health and key social services organizations had minimal funds but a huge need to build awareness of sickle cell disease among numerous audiences. The disease was grossly misunderstood, even by medical professionals and those living with it. We realized quickly that the biggest problem is that no one’s talking about sickle cell. So we needed to start the conversation. 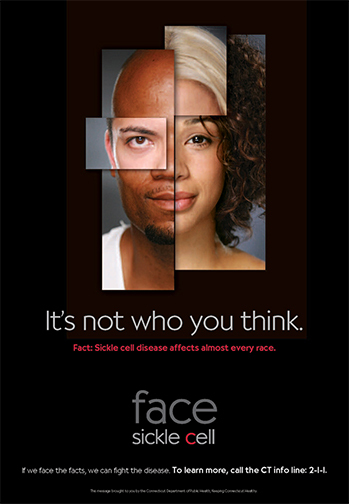 We produced a series of PSAs featuring people living with sickle cell disease, starting the conversation themselves. Imploring the audience to face the facts, these voices dispelled common stereotypes and suggested we all need to fight the disease. 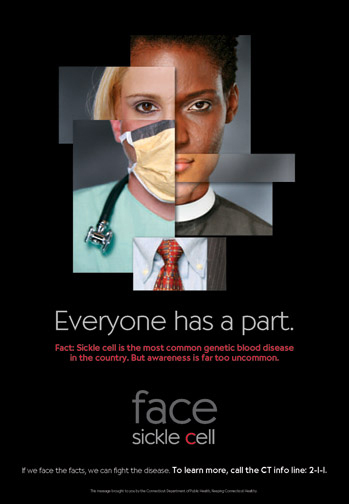 Arguably the country’s first and only viable sickle cell awareness campaign, it continues to garner national attention and has been picked up for use in several other states.